Ever wanted to play some social chess without joining the pensioners who gather in parks and chess clubs across the countries of the New East? With the launch of a chess bar in one of Moscow’s Stalin-era skyscrapers, now you can. 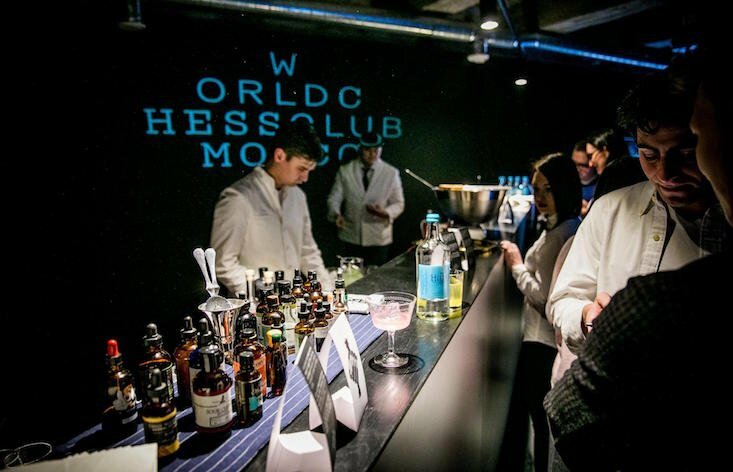 World Chess Club Moscow opened on Thursday evening and is marketing itself as a place where a new generation of chess enthusiasts can come and play the board game. On its Facebook page, the venue describes itself as the “only chess club in the world with a bar” and says it was “created after the chess revolution in 2016 when chess became fashionable”. Inside, the phrase “I love you and chess” glows in fluorescent lighting on the wall and there are chess sets on tables around the bar, which offers cocktails named after famous chess players. Chess lessons can be arranged with experts. World Chess Club Moscow is on the Russian capital’s Kudrinkskaya ploshchad and open from midday until 1am, or 3am on Fridays and Saturdays. More information is available on its website.